What Is The Black Doll Facial? Having a facial done is a great way to relieve stress and treat yourself. There are so many great options for different facials that not only feel amazing but are so beneficial for your skin. One of the choices you have when deciding on the perfect one for your skin is the Black Doll one. This is one of the best facials for the health of your dermis! Our highly trained professionals at Cosmetic Laser Professionals can help you decide which one is the best for you based on your skin type. Often referred to as “Carbon Laser Skin Rejuvenation”, this type of skin treatment is a non-invasive, and pain-free treatment that is great for minor skin problems and gives you that glow that you desire. It comes from a state of the art Q-switched Nd-Yag laser machine. This machine works wonders on your skin by producing short, high-intensity pulses of light in order to destroy dirt that may be clogging up your pores. First, your face is cleaned and lotion is applied. The Cosmetic Laser Professionals will use a carbon lotion that acts as a photo enhancer. The lotion helps with the rapid intensity of the treatment and really focuses on the debris that is causing your clogged pores. The laser light is absorbed by the black particles of carbon which will be released with the dead layer of skin. These are just a few benefits of this skin treatment. It is awesome for people who have acne scarring or wrinkles. The good news is that it only takes about 10 to 15 minutes when it is done by the pros at Cosmetic Laser Professionals. Also, there is no down time for this treatment! You can go back to your normal life as soon as you walk out of the door which is very convenient. Although this treatment is very quick, if you want noticeably brighter and clearer skin, you will need to have a series of 4 to 6 treatments. You can talk to your skin expert about how long you should wait in between treatments. You do not want to have a treatment too soon after you have already had one in order to prevent any skin damage. 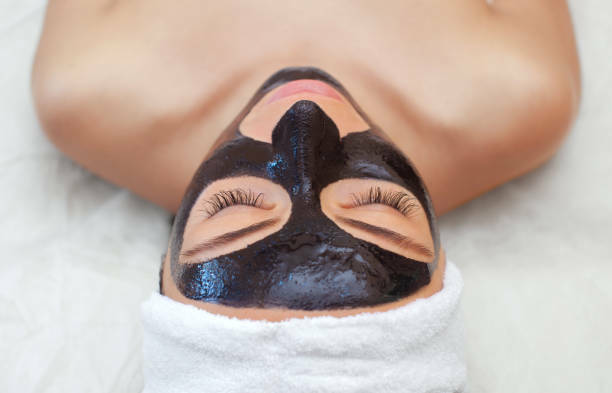 When you are looking for a treatment that tightens your pores and reduces acne scars, try out the Black Doll Facial. You can resume daily activities as soon as your treatment is done. The Cosmetic Laser Professionals can better guide you on what is the best thing for your skin, leaving you with a glow that you are sure to feel good about.